Welcome back to our ongoing conversation about caregiving and care receiving. Pour a cup of coffee or hot tea, find a comfy chair, and take a deep breath. It’s time for a little break in the action. Today, I come to you with a heavy heart. 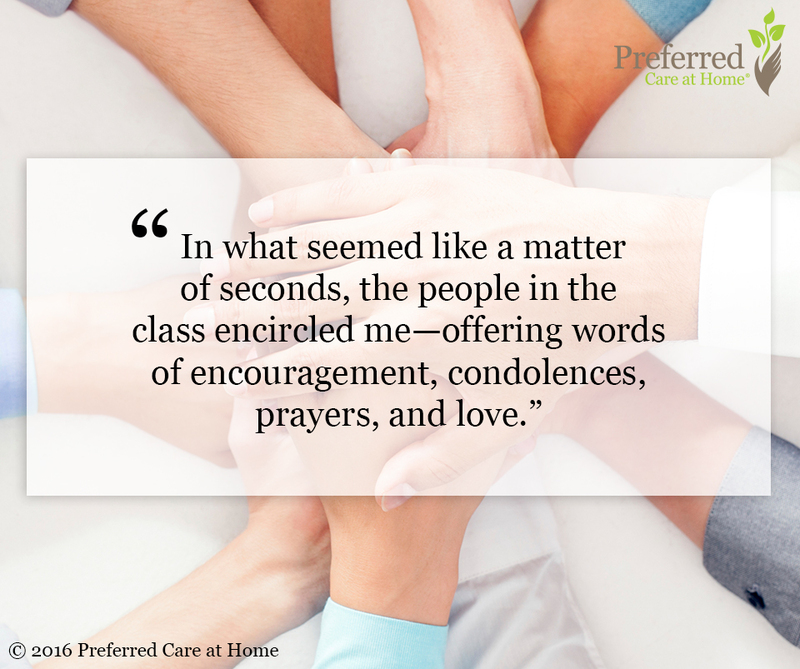 Two weeks ago, I shared that a beloved family member had been admitted into hospice care. Obviously, the diagnosis was terminal. However, my brother’s demise occurred much more quickly than anyone expected. He died one week after being admitted to hospice. Consequently, I am working to process and to integrate the twists and turns of my journey over the past two weeks. A daunting task indeed. I am reminded of the opening statement in The Tale of Two Cities by Charles Dickens. “It was the best of times, it was the worst of times.” This is an apt description of my experience over the past two weeks. The journey has been extraordinarily tragic and extraordinarily blessed. The unexpected blessings serve as a counterbalance to my intense grief —thus preserving a much needed semblance of balance and stability in my life. One of the most surprising and heart-warming blessings I experienced was the kindness of strangers. I was once again reminded of the inherent goodness and compassion of most people in this world. In the midst of teaching a two-day class, I was called to the bedside of my brother (who lived in another state). There was no doubt where I wanted and needed to be—with my brother. However, I also had a commitment to my client and to those attending the seminar. Long story short—when I explained the situation to my client, she graciously accommodated my need to fly out the following morning. I would complete Day 1 of the class. Another instructor would teach Day 2. No questions asked. Instead, kindness and prayers offered. At the end of the day, I felt compelled to briefly explain why I would not be returning the following morning. Although I had retained my composure throughout the afternoon session (recognizing I have no idea what I said), I fell apart when revealing the details of my unexpected departure. In what seemed like a matter of seconds, the people in the class encircled me—offering words of encouragement, condolences, prayers, and love. I had only known these people for 8 hours. And yet, when I shared one of the most devastating moments of my life, they offered pure, unadulterated kindness. One woman offered to drive me to the airport. Another offered to care for my pets while I was out of town. Others offered to drive me home that night. In the days that followed, I received prayer-full, supportive emails from the class. Even today, I receive daily emails from several people reminding me of the importance of self care as I grieve. The kindness of strangers—a blessing that continues to support and sustain me during this incredibly tough time.